Alastair Gordon and Jan Boersma founded Panacom Automation Inc in 1978. The company designed and manufactured Supervisory Control and Data Acquisition (SCADA) systems for electrical utilities, pipelines, refineries, steel mills, pulp and paper, resource industries, and process industries. HP bought Panacom in 1983. Panacom became an operation within the Manufacturing Productivity Division, reporting to general manager Gaylan Larson. Hewlett-Packard appointed Chuck Bonza from the Loveland Instrument Division to manage the new Panacom Automation Division, merging the cultures of a mature multinational with the agility and inventiveness of an entrepreneurial start-up. Chuck proved to be the ideal bridge between the two corporate cultures. Jan Boersma parted ways with Panacom soon after the acquisition. Alastair Gordon remained with the new division for three years. Other Panacom founding employees, including Dr. David Kelly, Hans Thurow, Eric Teose, Mohan Mistry, Peter Kuzyk, and Ian Kindred continued their growing careers with HP. Major product lines for the Panacom Automation Division included SCADA systems, remote terminal units, stand-alone software systems, automated fueling systems, and the 3082A ruggedized shop-floor industrial terminal. HP relocated the Panacom automation Division to Waterloo, Ontario, about 60 miles from Panacom's founding location in Toronto, to take advantage of HP's growing involvement with the University of Waterloo's engineering school. 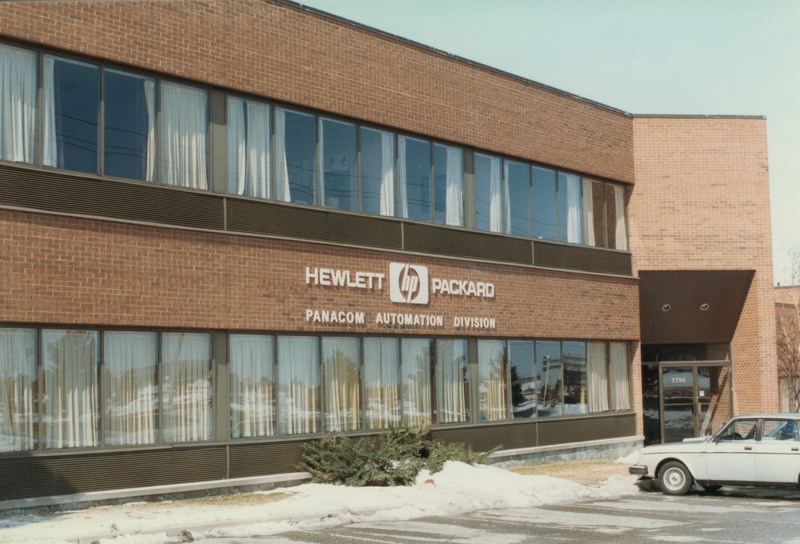 HP closed the Panacom Division in January of 1998.